Brisbane tries hard to be Christmassy in 30 degree weather! So at Christmas-time, we might get sunburn instead of snow, but we still have an abundance of bright shiny lights and sparkly things. I haven’t gone to see Christmas light since I was a kid, but some amazing work friends who came over talked me into going to see the City Hall display and then local Christmas light winners and runners-up. It was a lot of fun, although waaaay busy in the city- tiny children as far as the eye could see! So I’m often at my happiest when I’m pottering around. As a vego, no one ever expects me to do anything for Christmas lunch (which is good because I couldn’t do meat) and so, with my gift wrapping done and a fair whack of my friends caught up with, I have time between now and Christmas Day to relax. Done more yoga badly on the balcony. This is one of my favourite things. Gone for a jog. When will my face stop looking like a lobster? Gone for a walk with Ben (see photo below). Spent far too long trawling through apartment therapy just because I can. 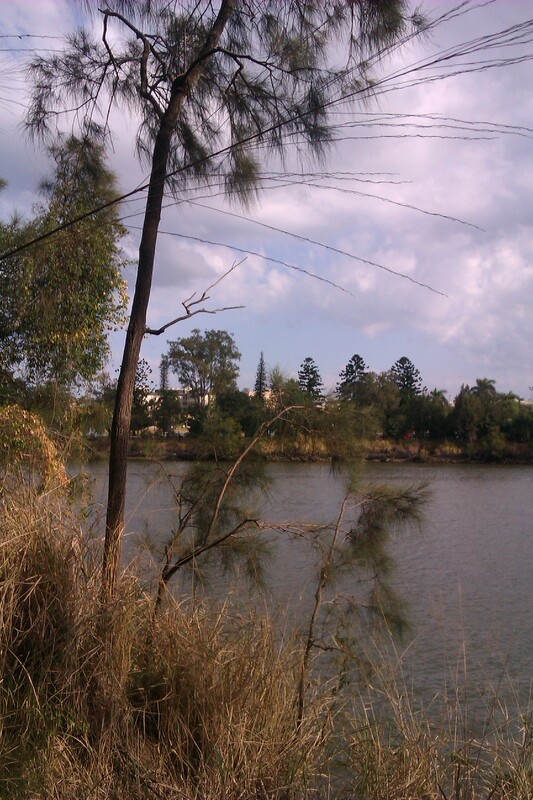 I can’t believe this little pocket of green is in Highgate Hill opposite the University of Queensland. Brisbane really is an amazing, natural city! This year, for the first time in over 6 years, I will be spending Christmas morning and evening with my parents. We will start the drive soon. Ben and I have traveled a lot over the Christmas breaks past- to New Caledonia, to Europe (how I miss Christmas in Berlin!) and twice to volunteer at Woodford Folk Festival- not to mention Christmases we spend with Ben’s family, so this is very special to me! We are still spending Christmas lunch with Ben’s family but the change to spend time with my mum and dad is precious. I will be taking a blogging break between now and the New Year, although I can’t resist scheduling some posts with seasonal photos plus a delicious savoury baked brie I whipped up when friends came over for Christmas Eve’s Eve. Look out for them over the next couple of days. I have a couple of great restaurants to review and some recipes that sure, should have been posted before Christmas, but it doesn’t have to be Yule time to enjoy chocolate bark and other goodies. I also have some musings about the New Year and what that will have in store. Ben and I are also going away for three days to Hervey Bay with friends. This is the first time we’ve had a holiday since Europe, unless you count last NYE’s camping disaster, which we don’t. We really don’t. I know that for many, Christmas is a stressful time, so I hope you grab any quiet moments that come by, breathe deeply and enjoy. Ben and I don’t actually celebrate Christmas, so I will wish you a Merry Christmas, a Happy Holiday, a Super Solstice (summer, not winter down here!) and all the best. So I prefer to create home made presents for Christmas. Ben has a lot of family and buying up to two dozen presents on one wage can be difficult. In the past we’ve made roasted garlic in olive oil, chutney, breakfast hampers with nice mugs, homemade preserves, homemade muesli and teas, and all sorts of things. Mum, Dad and my sister’s gifts just asking to be tagged (and some of my summer reading behind it). This year, we ran out of time and energy and bought most of our gifts. 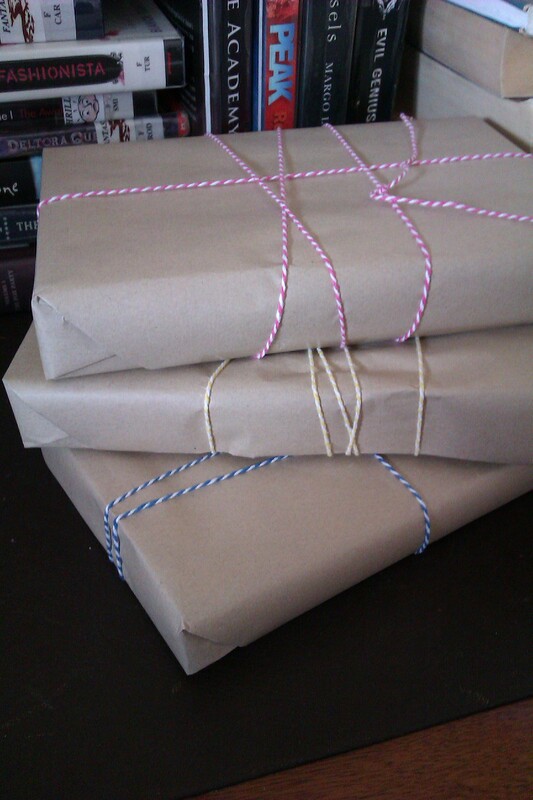 However, this doesn’t mean we can’t have homespun wrapping. 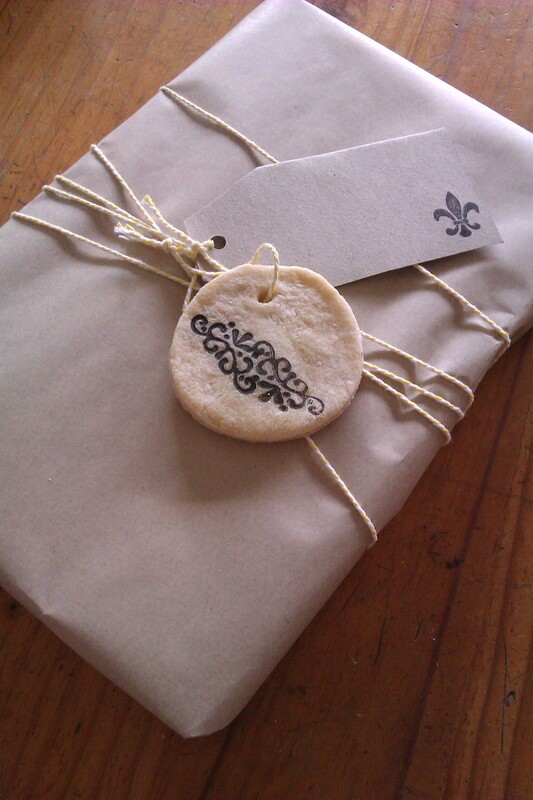 As well as salt dough ornaments, our gifts this year are wrapped with easy peasy gift tags. There was no template or fuss, just chopping paper into slips and then trimming the edges to look like old fashioned tags and punching a hole in the narrow end. 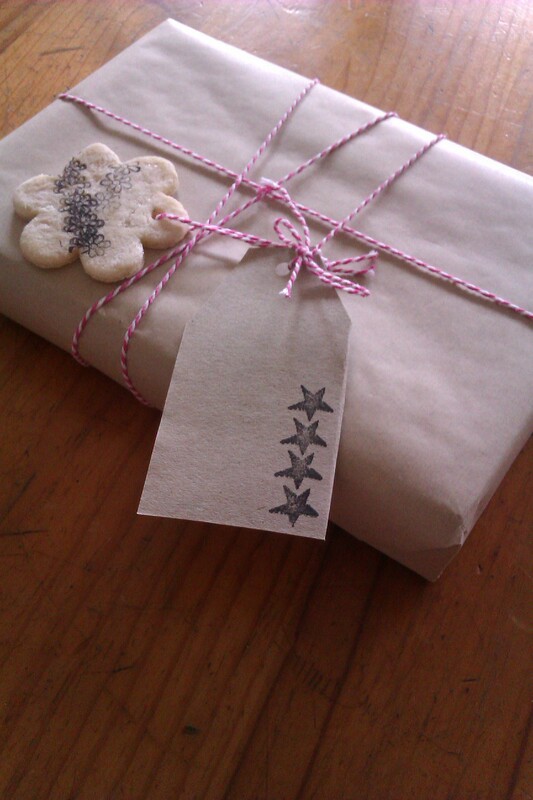 I used the same stamps as the salt dough ornaments to put some pretty on them. Yellow paper for Ben’s family tags and brown for mine. Do you make any gifts from scratch? So this year I jumped on the Salt Dough trend train that I saw all over Pinterest. 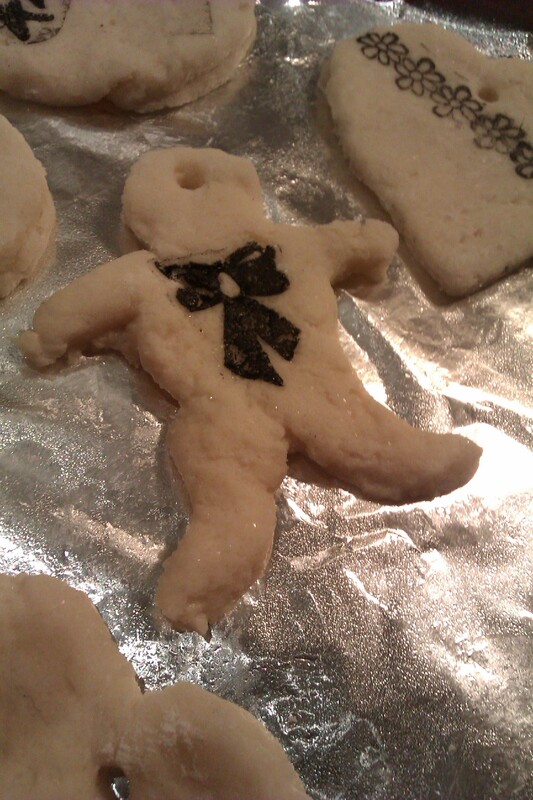 It was super easy and although my attempts were a bit clumsy (see zombie gingerbread boy below), I had fun and made a cute decoration to go next to people’s gift tag. 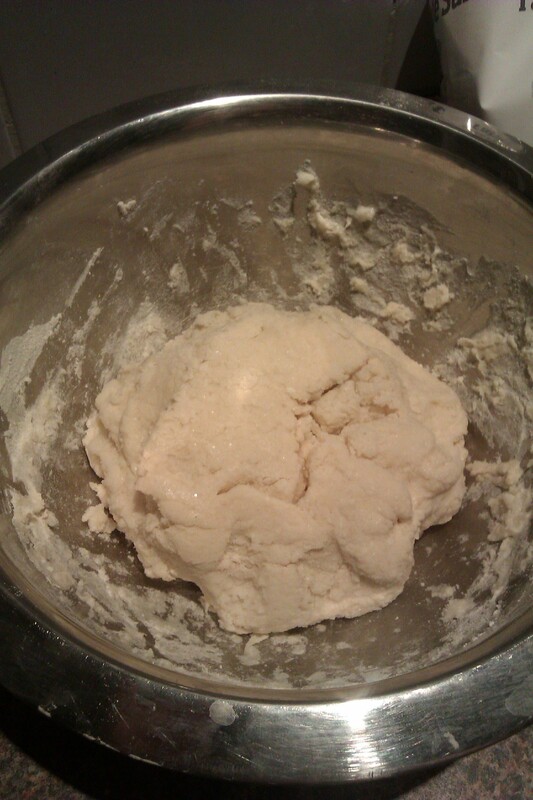 Add your ingredients together and knead. 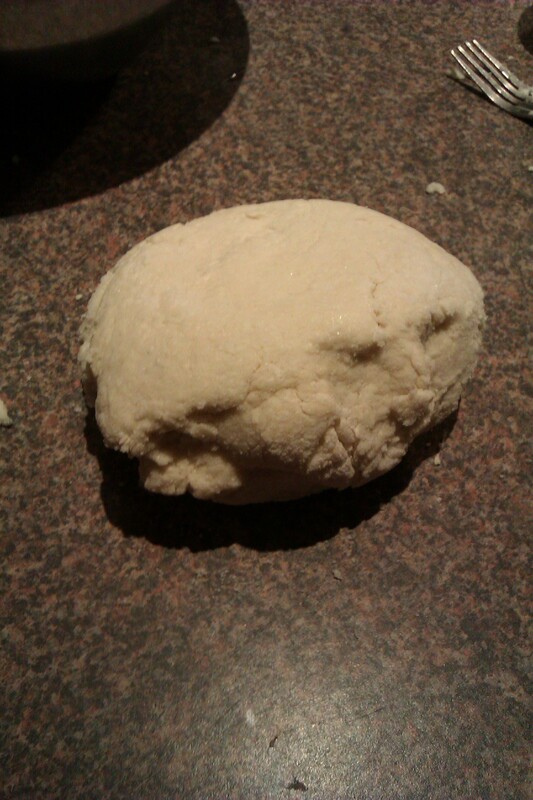 I should have done this for longer, because the dough wasn’t as smooth after it had cooked as I would have liked. Roll out thinly. I used my super duper marble rolling pin that was a gift from Ben a couple of years back, but even a wine bottle with work (and did for me for many years). The thinner you roll it, the better it works out. Our better ones were the ones that were quite thin. We stamped patterns into them using a standard ink and stamp set. 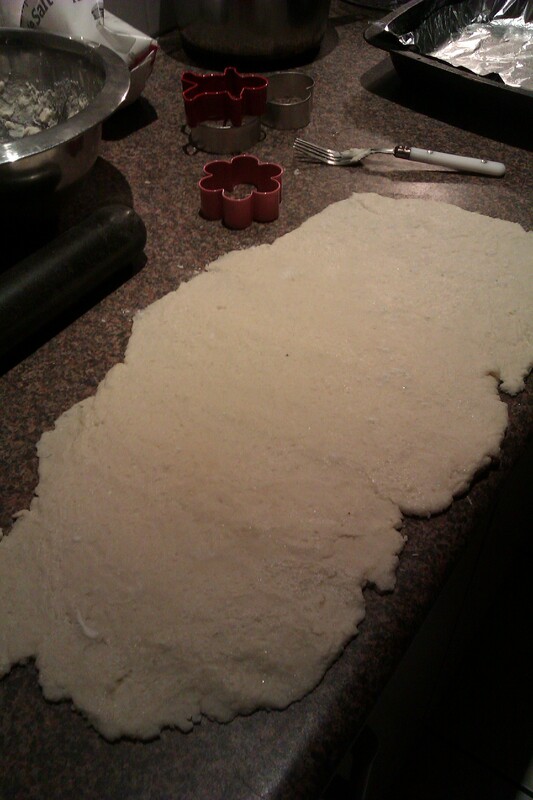 Holes were made by pressing then end of a drinking straw into the dough. 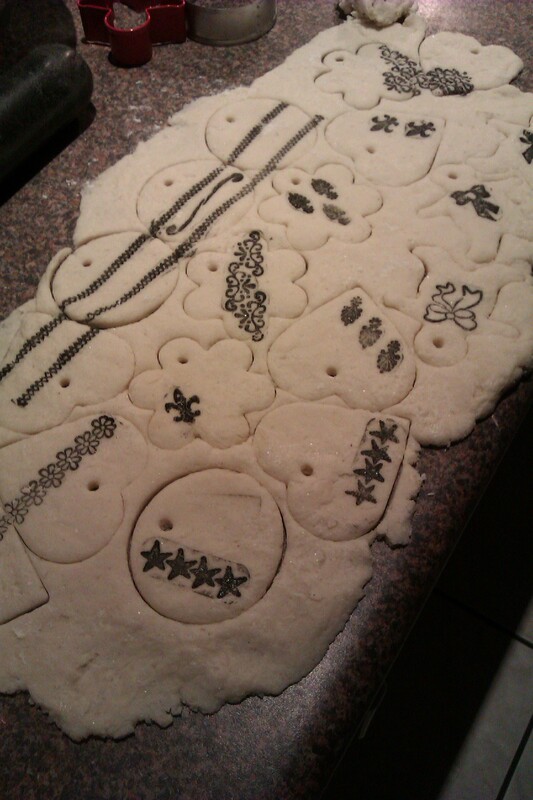 I used all the dough that wasn’t stamped to roll out another layer and make even more ornaments. The second batch I remembered to flour the bench! We baked them in the oven at 100C for 3 hours. We ended up baking them for closer to 4.5 because some were a bit thick. TIPS: I sprayed the baking paper on my trays very lightly, but found that my ornaments stuck to the bench and didn’t want to move without stretching, so I had to be very careful. The trade off, however, is if you flour the bench you end up with dusty ornaments. I’d probably spray the bench next time. Also, keep the oven temperature down- you’re drying out the dough, not cooking it! If your oven is too high, your dough with brown and your ornaments won’t be white/off-white. I’ll be posting one or two more restaurant reviews and using the same stamps that I used for salt dough ornaments to make some gift tags for presents. Gift tags are much safe than dough! If you’re not online much over the holiday period, I hope they’re everything you want them to be.